Direct Thermal Labels for Industrial Printers, Size: 148mm x 102mm - Direct Thermal (DT) Die-Cut Standard Labels for Industrial Printers, Size: 148mm (width) x 102mm (height), White Uncoated Paper, Permanent Adhesive, Outside Wound on 3.0" (76mm) core, Maximum Outside Diameter 8.0" (203mm), 1500 per Roll, 4 Rolls per Box. Total Labels per box 6000. Price per Box. Thermal Transfer Labels for Industrial Printers, Size: 148mm x 102mm - Thermal Transfer (TT) Die-Cut Standard Labels for Industrial Printers, Size: 148mm (width) x 102mm (height), White Semi-Gloss Paper, Permanent Adhesive, Outside Wound on 3.0" (76mm) core, Maximum Outside Diameter 8.0" (203mm), 1500 per Roll, 4 Rolls per Box. Total Labels per box 6000. Price per Box. 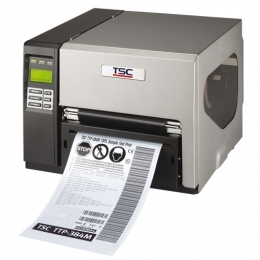 Direct Thermal Labels for Industrial Printers, Size: 148mm x 210mm - Direct Thermal (DT) Die-Cut Standard Labels for Industrial Printers, Size: 148mm (width) x 210mm (height), White Uncoated Paper, Permanent Adhesive, Outside Wound on 3.0" (76mm) core, Maximum Outside Diameter 8.0" (203mm), Perforated, 700 per Roll, 4 Rolls per Box. Total Labels per box 2800. Price per Box. Thermal Transfer Labels for Industrial Printers, Size: 148mm x 210mm - Thermal Transfer (TT) Die-Cut Standard Labels for Industrial Printers, Size: 148mm (width) x 210mm (height), White Semi-Gloss Paper, Permanent Adhesive, Outside Wound on 3.0" (76mm) core, Maximum Outside Diameter 8.0" (203mm), Perforated, 700 per Roll, 4 Rolls per Box. Total Labels per box 2800. Price per Box.